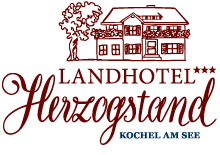 Did you stay at Landhotel Herzogstand in Kochel? You enjoyed your stay with us? Please review the Hotel Herzogstand am Kochelsee on one of the major review sites! Did you enjoy your stay with us? Please review the Hotel Herzogstand am Kochelsee on one of the major review sites! As a small family business we can´t compete with the marketing budget of bigger hotel chains. Word of mouth is very important for our hotel and many guests come here due to recommendations of family and friends. Please support us by telling others about us with a personal entry on a hotel review site. Thank you for time – it will only take you a few minutes give a review! Please click here and you will be redirected to the evaluation mask at HolidayCheck. Please click here and you will be redirected to the evaluation mask at Tripadvisor. Please click here and you will be redirected to the evaluation mask at golocal. Please click here and you will be redirected to the evaluation mask at Google Plus (registration required). Please click here and you will be redirected to the evaluation mask at foursquare (registration required). You were not satisfied while staying at Landhotel Herzogstand? Is there something we can do better? We´re constantly working on improving our hotel and our service – please help us. Please send us a personal message.